THREE prisoners required hospital treatment after apparently taking so called legal highs, according a Ministry of Justice report. The report, which has been seen by the BBC, explains that one inmate at Hindley Young Offenders Institute suffered a cardiac arrest and two others stopped breathing after they were found “acting strangely”. 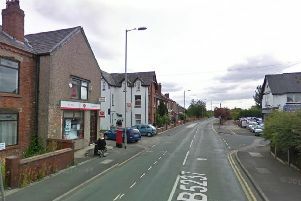 All three were taken to Wigan Infirmary for treatment according to The Prison Service Daily Operations Report. The incidents happened between January 1 and 3. A Prison Services spokesperson said: “Governors use sniffer dogs, cell searches and mandatory drugs tests to find drugs in prison and punish those responsible.